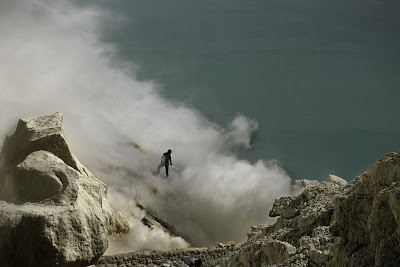 Located In East Java, Indonesia lies Kawah Ijen volcano, 2,600 meters tall, topped with a large caldera and a 200-meter-deep lake of sulfuric acid. 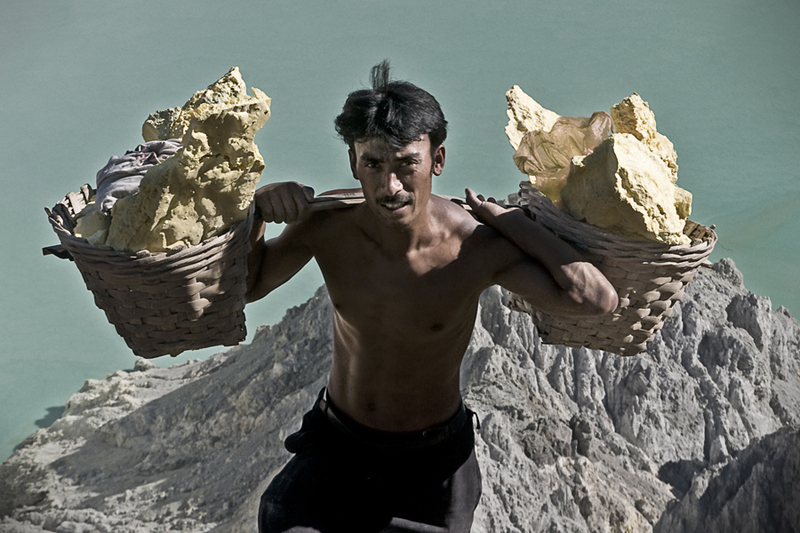 There are still places on the planet where the workforce has no limits. 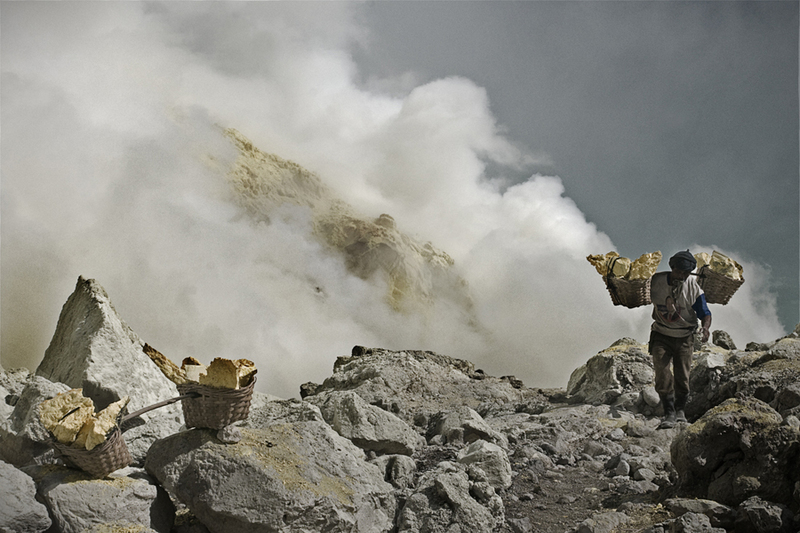 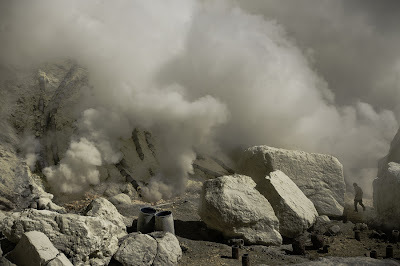 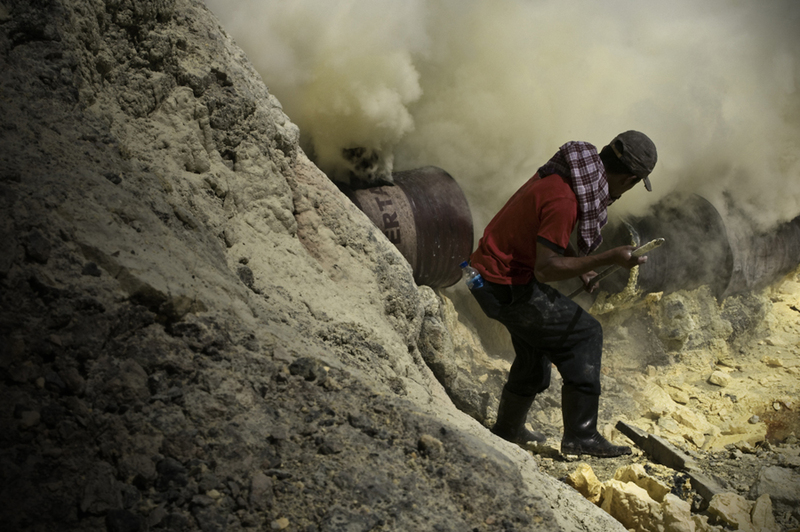 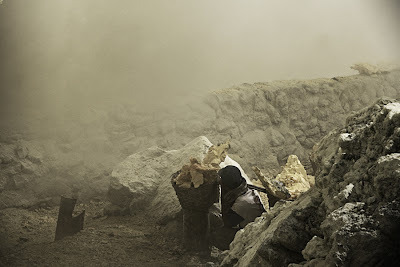 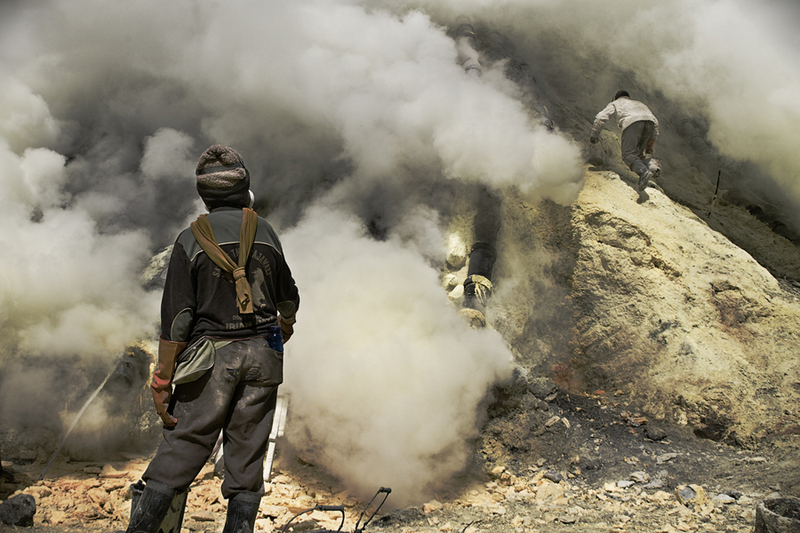 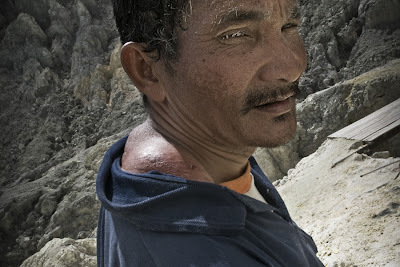 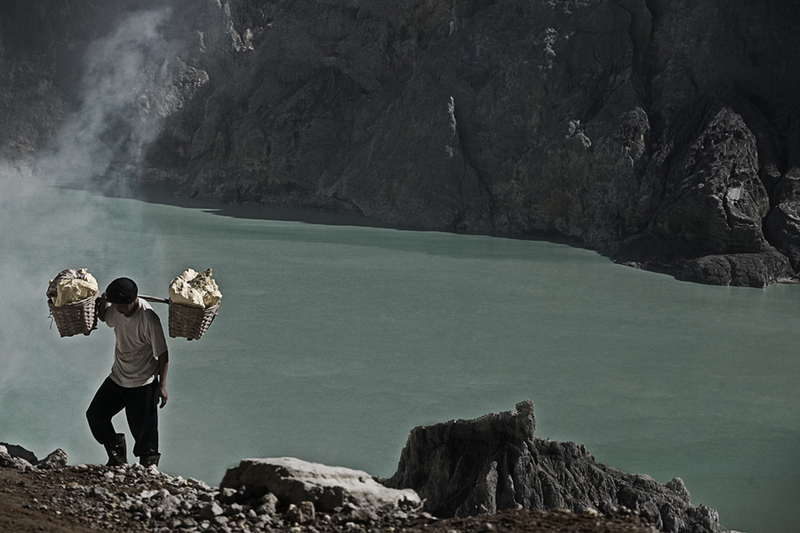 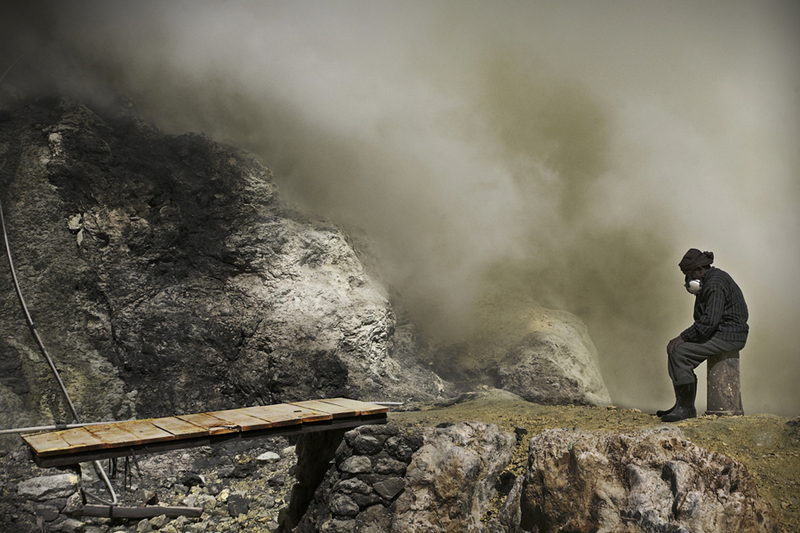 This is the case of 200 men who daily carry sulfur from the volcano with their own hands and transport it to a factory located 10 kilometers. 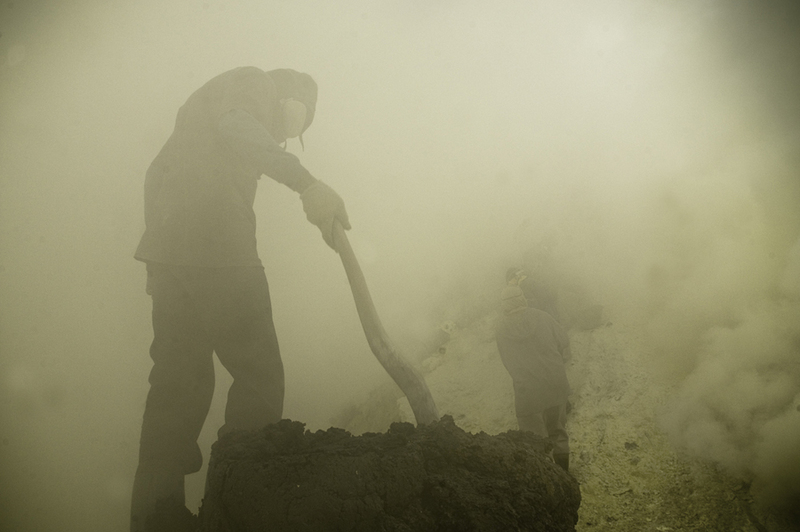 at 2 am - a sharp ascent of an hour and a half to the craterrim to collect 60 to 100 kilograms of sulfur crossing back rocky roads to the refinery. The extraction is used to bleach sugar, fertilizer production, Black Powder, matches, insecticides and fungicides and vulcanization of rubber. 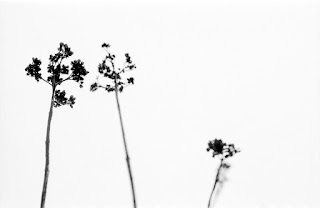 Diego Zapatero, born in Zaragoza, Spain, initially studied business administration and management before discovering his passion lay in photography. The inferno of the Mount Merapi volcano in 2010, where he was eyewitness for more than 2 months reporting daily all events, became a milestone in his photography. 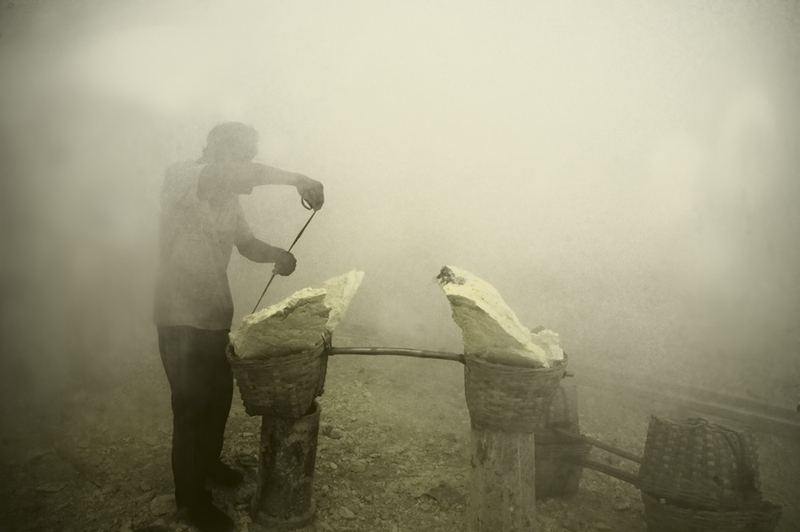 His exhibitions were dedicated to charity for help all those affected and since then, he only wants to take pictures that tell stories. 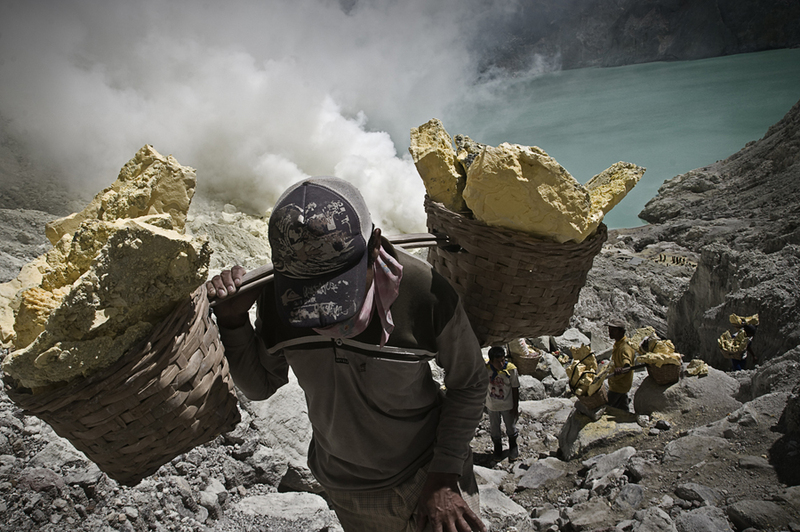 Currently granted with a scholarship from the Indonesian Institute of Arts for the second year he is studying photojournalism among another subjects in the cultural capital of Indonesia, Yogyakarta. 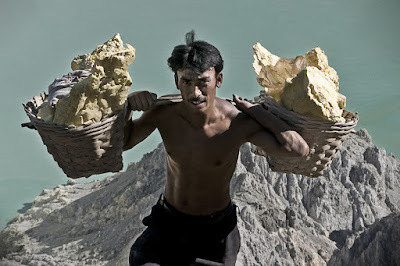 Very good work and I feel so sorry for the workers because it is a very dangerous job and many dies. Thaks a lot Mikael, yes the name of of the Bandung lake is Kawah Putih as I can remmember and also interesting.